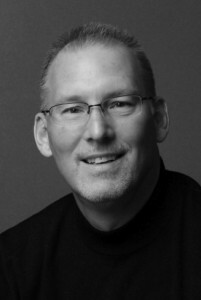 Mike Fabich is the founder and Managing Partner of Foxwood Associates. He is an experienced leader, executive coach, Certified Professional Behavioral Analyst, facilitator of meaningful organizational change, teacher, business owner, husband and father. Mike practices extensively in the areas of organizational and leadership development, executive coaching and mentoring, organizational and cultural transformation, and turnaround and crisis management. He has a deep, cross-functional understanding of all aspects of business. He believes that organizational structure, systems, skills and strategy need to be aligned in order to maximize organizational success. Mike is passionate about helping his clients develop practical and executable solutions to issues that affect business performance. Mike brings more than thirty years of business leadership experience to each advisory engagement. He has held senior leadership positions in small, family-owned businesses as well as multi-national, publicly traded companies. He is a member of the Turnaround Management Association, an international network of professionals dedicated to business renewal; and the Institute of Coaching Professional Association (ICPA), an association of professionals dedicated to enhancing the integrity and credibility of the field of executive coaching. Mike holds a B.S. degree in Chemistry with Business Concentration from the University of Wisconsin – La Crosse.